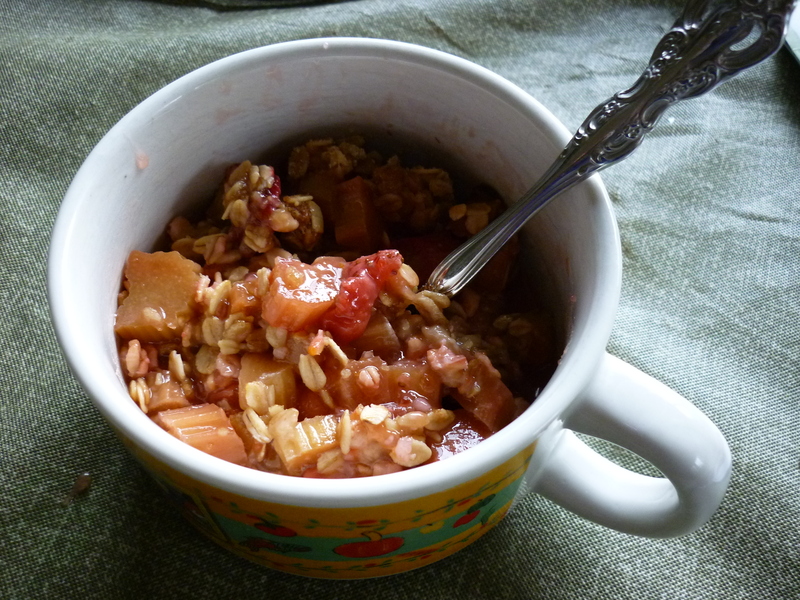 Rhubarb-Strawberry Crisp is a simple “first fruits of Alaska summer” dessert. Yummy! 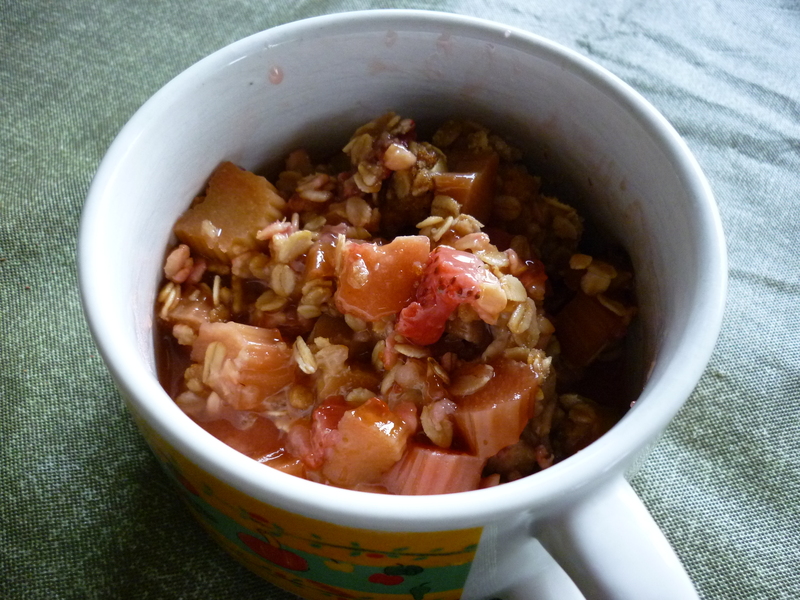 Mix together 5-6 cups chopped rhubarb, orange zest, 1/3 cup orange juice, 3 Tbsp. quick tapioca, 1 cup sugar, 1/4 tsp. nutmeg, 1 pint sliced strawberries. Let stand 15 minutes. 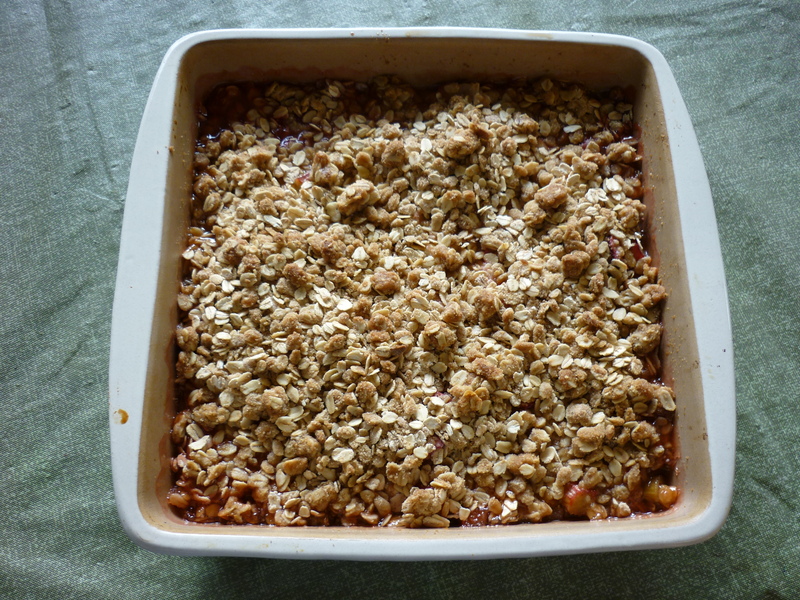 Pour into a buttered 9 x 9″ baking dish. 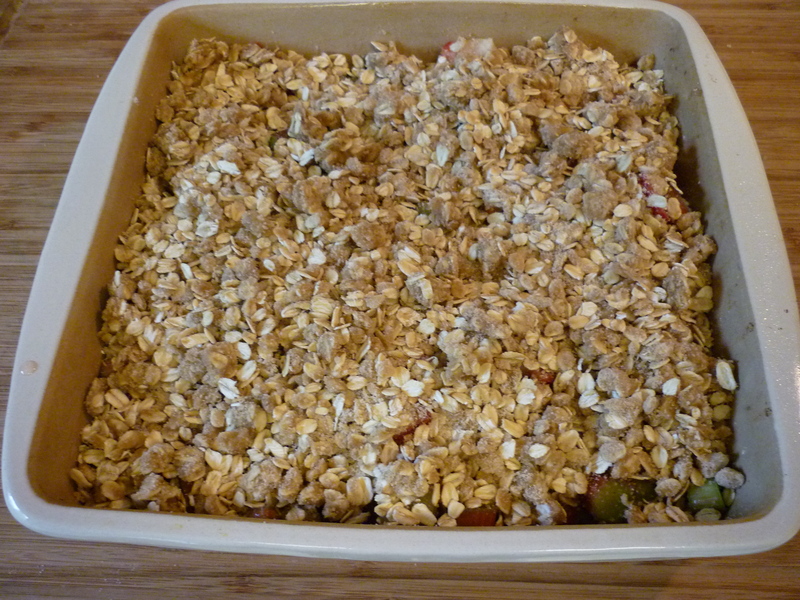 Mix together in a separate bowl: 1-1/2 cups rolled oats, 1/2 cup flour, 1/2 cup brown sugar, 1/4 cup melted butter. 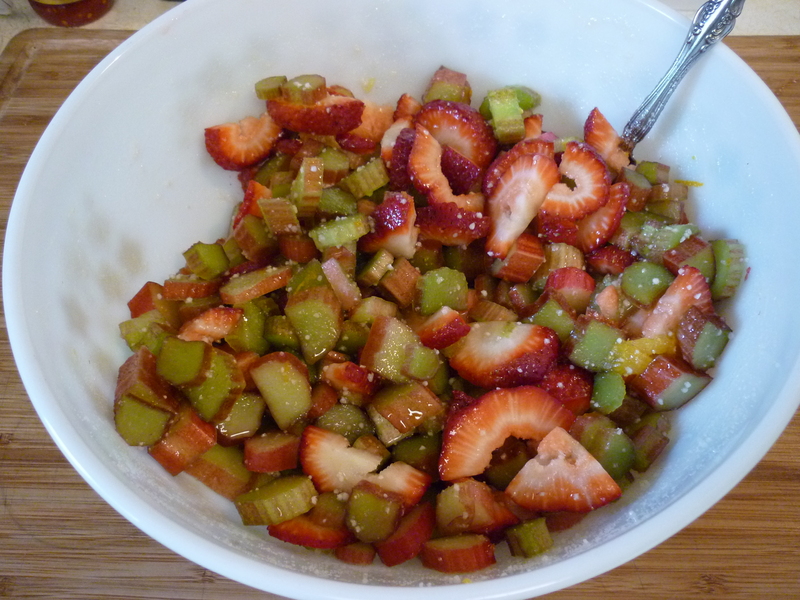 Sprinkle over rhubarb mixture. 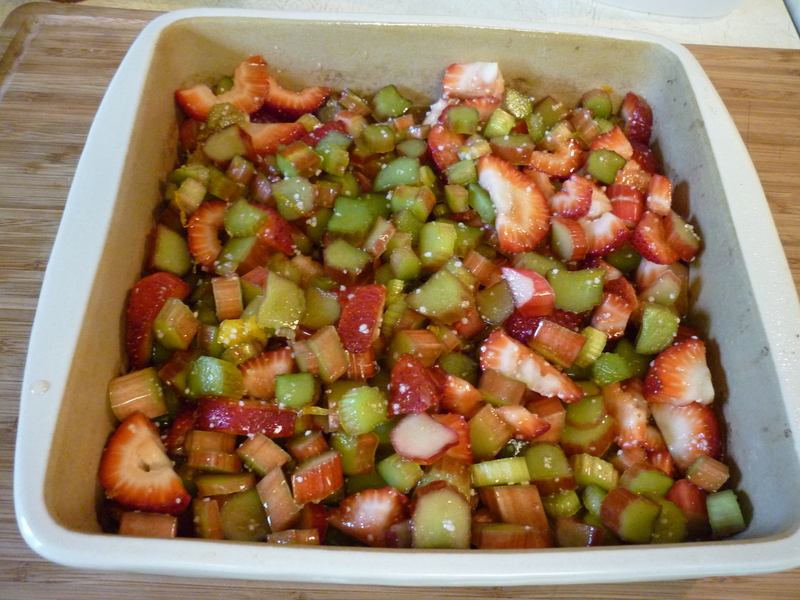 Bake at 350 degrees for 40-45 minutes or until browned and filling bubbles burst slowly. Tastes great topped with whipped cream, milk, or ice cream.